Solid copper Celtic Knot band Size 8 ring CTR3402 - 3/8 of an inch wide. 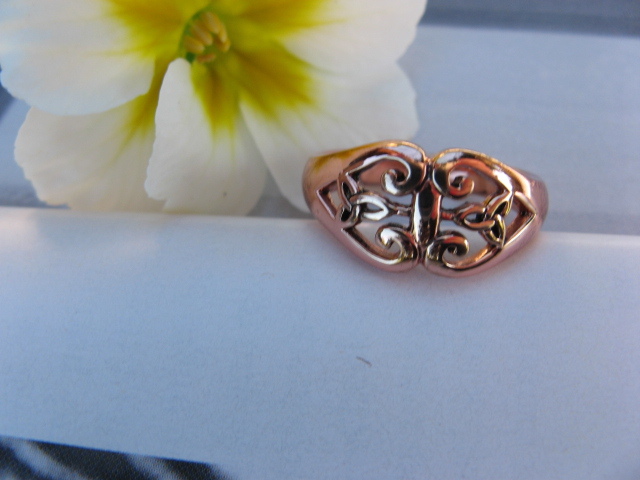 > Solid copper Celtic Knot band Size 8 ring CTR3402 - 3/8 of an inch wide. Size 8 solid copper Celtic Knot band ring CTR3402 . 3/8 of an inch wide. Great quality and very detailed design.